Our single focus is this specific age group. We use kids karate as a way to shape your little ones character, change their attitudes and sharpen social skills. You’ll get a kick out of watching them grow and learn in a positive, disciplined and encouraging atmosphere. Each class is fresh, creative and fun. As instructors, we are the biggest kids on the mat, the pack leaders. We believe if the teacher isn't having fun, chances are the kids aren't either. So we use exciting drills and games to teach and train your kids. Our Little' Dragon curriculum is age and ability appropriate so their "play" is actually their "work". Respectful behavior and self-control is what they strive for as they learn and grow here. We engage their amazing imaginations through “Mat Chats” and role playing to teach them how to deal with fears, tantrums, strangers and much much more. We form Strong Foundation's by building Strong Relationships. “They don’t care how much you know until they know how much you care.” That’s not just a saying around here. I believe life is about relationships, so that’s my focus while using the gifts God gave me to reach and teach your little ones through our children's martial arts program. Most schools don't offer their curriculum in written form. We Do! 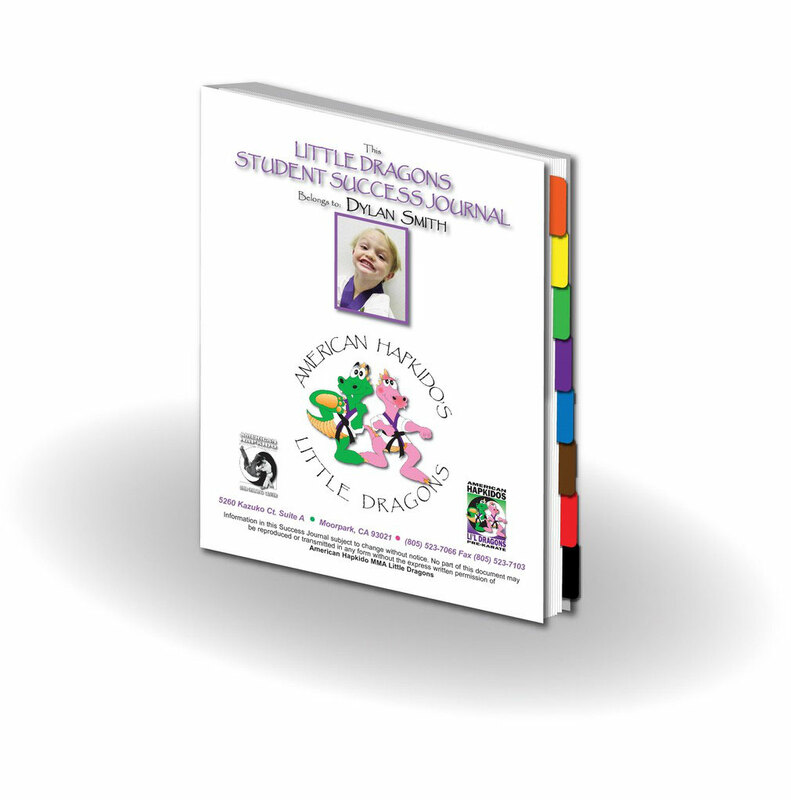 This personalized journal contains all the Lil Dragon requirements from White Belt to Black. With it, we track your child’s progress. You use it to see exactly what your child needs to practice at home. It’s also packed with helpful tips and instructor comments for the parents. 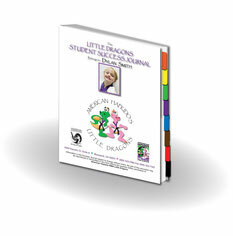 An essential tool for your child’s advancement and a wonderful keepsake for years to come. Cost is an important issue for many folks these days. Our Lil Dragon's tuition is competitively priced for the Moorpark area but the value is much, much higher. 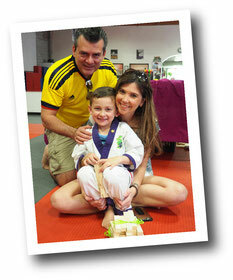 We are committed to your child through their journey to Black Belt. Any issues at home or school are addressed here as we join with the parents and work together to help your child be the best they can be. 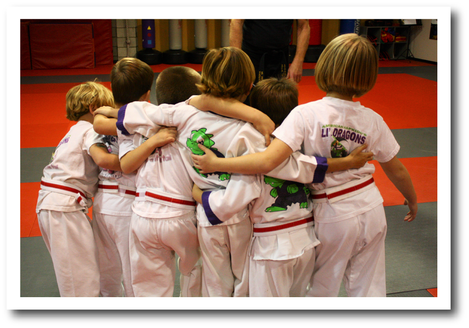 We are the only children's martial arts school in Moorpark that offer classes 5 days a week afternoons and evenings. No Contracts, No mandatory upgrades or hidden prices. This program has been extremely positive and influential in my son’s social and physical development. We started when he was three, at a time when he was very introverted, shy and only spoke Spanish. He is now five, and one belt shy of his black belt. What I love about this program is how it has helped him flourish in key areas of his development. Mr. Anderson has not only shown him karate, but most importantly he has helped my son overcome his fears, speak out for himself, be disciplined, and learn the value of hard work and perseverance. He is now extroverted, social, confident and, disciplined. All qualities that have made him flourish in every endeavor he sets his mind to. This program is more than just martial arts, it teaches kids the skills to succeed. It has been one of the best choices we've made. Here's some Tips when shopping for a good Martial Arts School ? If they won’t give you their prices unless you come in.... That’s a red flag. If they are asking for a lot of money up front (a year’s tuition or more).... I think it's a bad idea. If you change your mind you might be stuck then pay a huge fee to get out of the contract. We only accept monthly payments. Your commitment can be canceled any time with a 30 day notice and a minimum cancellation fee. Watch out for mandatory upgrades, hidden prices and fees.... That’s just not right. We don't nickel and dime you to death. One price, unlimited classes 6 days a week & no upgrades. The only extras are belt exams and the student success journal. That's it! If they’re constantly trying to sell you something.... It’s not a good sign. That just plain BUGS me, so we promise not to pester you here. If you base your choice on price instead of quality, you will get what you pay for. Do your homework. Most pre-k programs take 2 to 3 years to complete. Watch a beginner class and an intermediate or advanced class. Unfortunately it is a common practice at some schools to bring you in at a low price and stick it to you later. I don’t think that shows much integrity for a business that teaches integrity to your kids? Ask the other parents a lot of questions. We pride ourselves on being a totally transparent school. We live and lead with honesty and integrity. You should shop around & visit our competitors. We are confident once you step inside our school you will notice the difference. There's no pressure here and you'll feel like family before you know it.